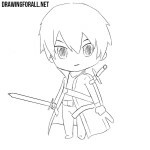 Let’s talk a little about the rules of drawing Chibi. 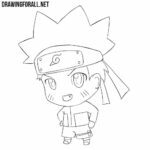 The first thing you need to know is that the proportions of chibi characters are very different from the proportions of the ordinary anime or comics characters. So, we are sketching John Cena’s round head as you can see in our example. 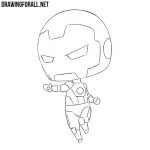 Next, draw two crossing lines on the face. 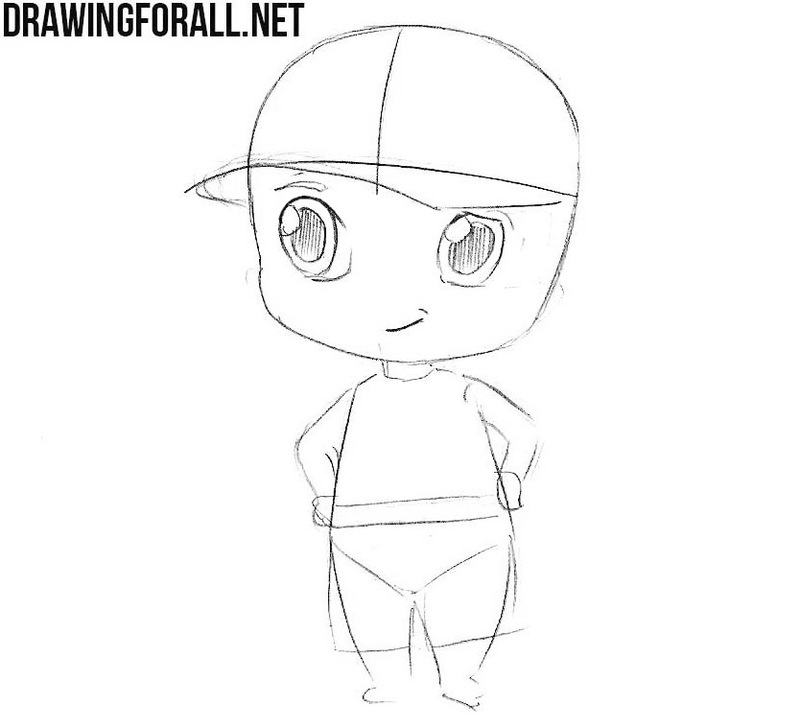 These lines will help us draw the eyes. 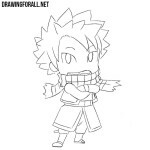 And another rule: chibi characters have a very small body and very small arms and legs. 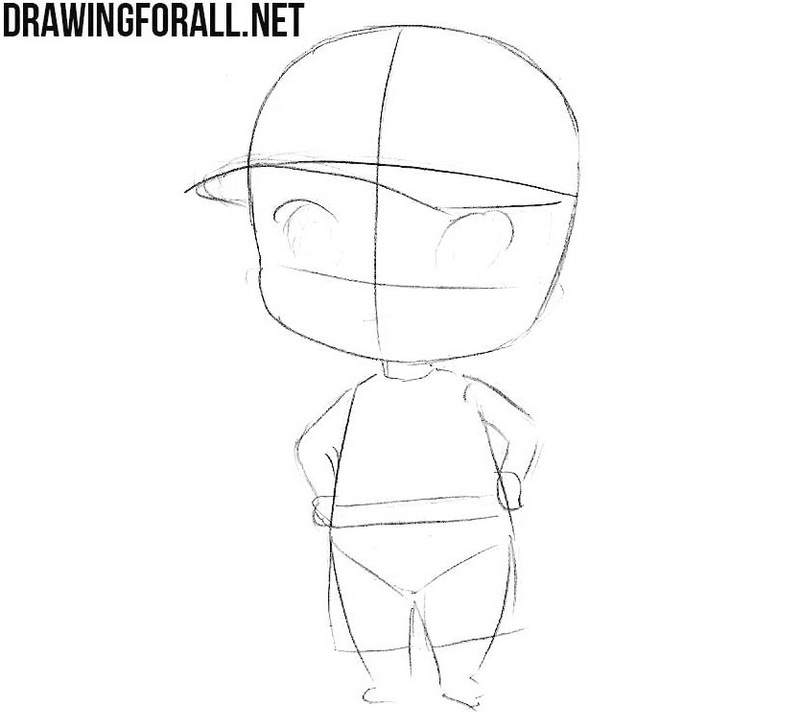 So we are sketching out a torso and arms/legs with the correct chibi proportions. Don’t forget that the chibi body is about the same height as the head. So we continue the lesson in which we tell you how to draw Chibi John Cena. 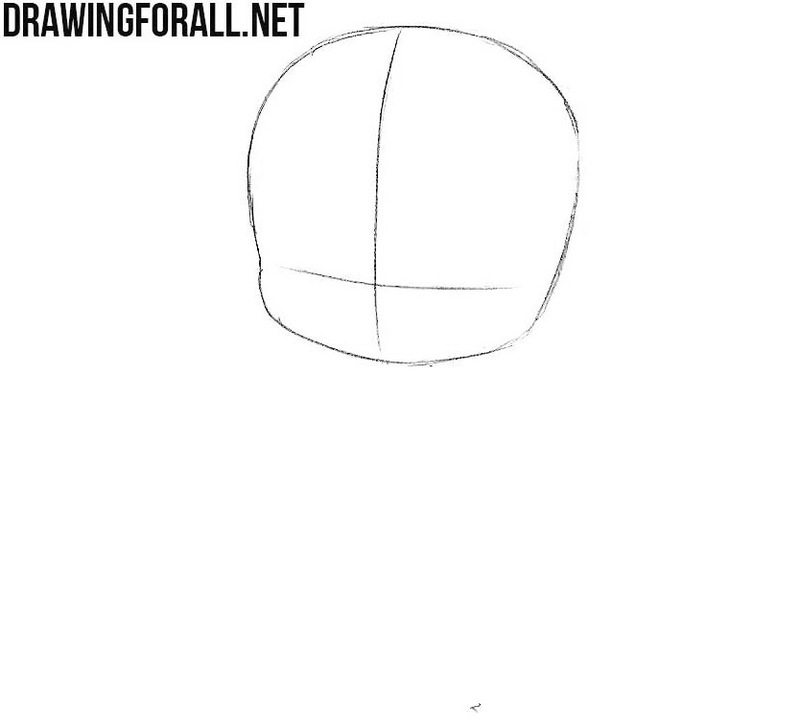 Using light lines sketch out the cap and eyes on the head. Then draw out the contours of the shorts. 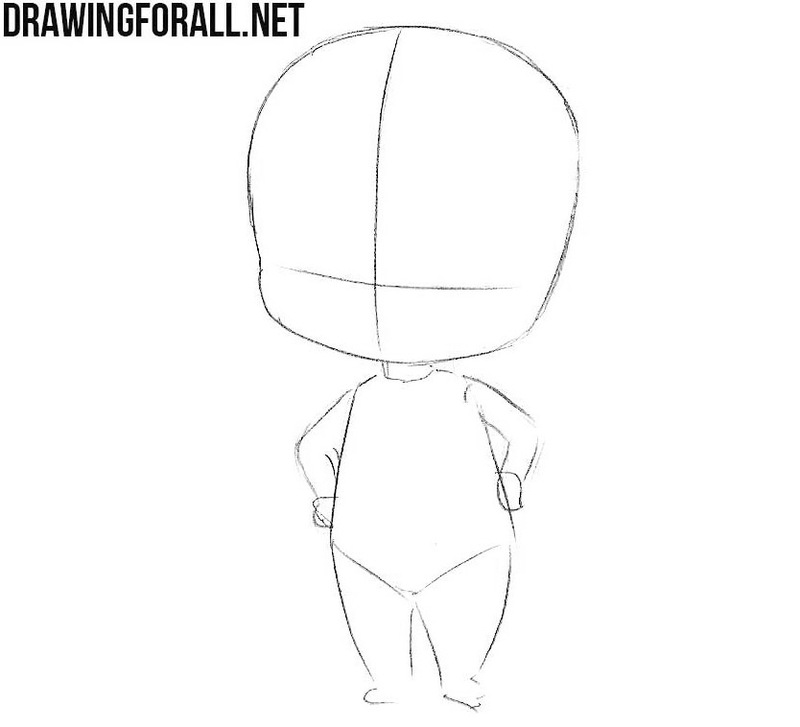 In this step we will draw large expressive eyes. 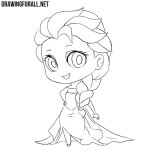 We will also draw a mouth (this is just a sloping line) and erase the extra guiding lines from the face. 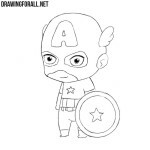 Now we will draw a very famous John Cena’s logo which is located on the cap. Now is the time to draw a T-shirt and hands. We have a very easy task because we do not need to draw palms and fingers. Draw all the details of the costume and remove all unnecessary guidelines from the chibi John Cena drawing.